Softcard, your business model is crazy. There is no way your service can catch on given the hoops that users have to jump through to sign up for and use your service. It took a week just to understand why I couldn’t use your service, and then another two weeks to actually come up with a cheap enough option to use your service. Of course I did all of this because I actively wanted to use your service. Someone who’s just interested in trying out the service is much less likely to jump through any of the hoops I jumped. Before getting into how to sign up for Softcard for cheap, I’ll illustrate just how hard Softcard is to setup and use. AT&T, Verizon, and T-Mobile customer: No Sprint, or other MVNO providers, even those who resell AT&T, Verizon or T-Mobile service will work. Carrier Locked Phone on the softcard supported list: Older iphones may work with a ISIS wallet case, but the case must be branded to match your carrier. This is the dumbest requirement of all. 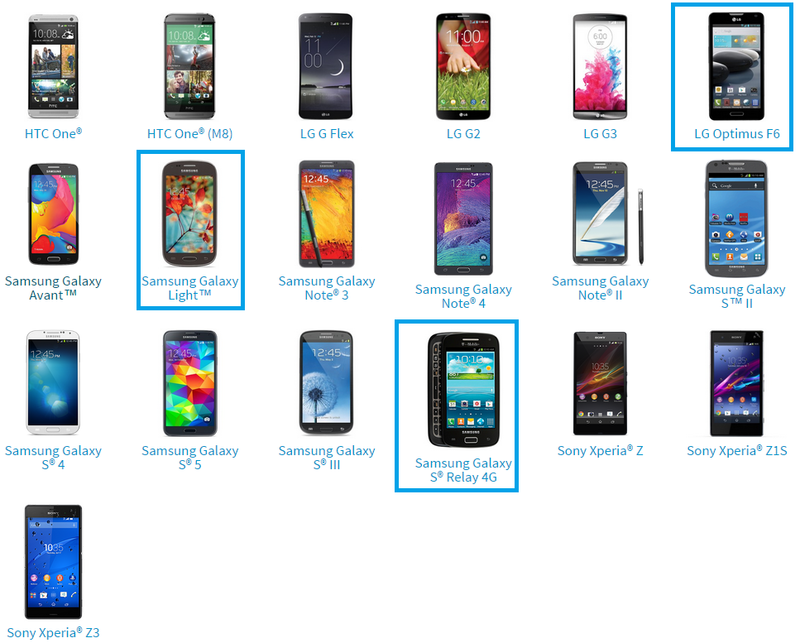 Many, many phones have the hardware necessary for NFC payments. If your phone is unlocked you won’t be able to use Softcard. Secure Element SIM card from your carrier: This means a trip to the carrier’s store and a swap out of your SIM card. Android phones cannot be rooted: if they are you fall into a gray area, where you may be able to use rootcloak to use softcard. If somehow you are one of the 10 people in America who fall into the above categories, CONGRATULATIONS you can simply start using your phone with softcard, provided you make a trip to the wireless store, and get that new Secure Element SIM card. Update on Unlocked Phones: Not for the faint of heart, but Reader Boris commented with great tips on running Softcard on an unlocked phone. Unfortunately, these steps can also turn your phone into an unusable paperweight, so unless you’re comfortable with the risk, stick to the tips in this post instead. I strike out on all four of the above criteria: My carrier is an AT&T MVNO, my phone is unlocked (but has all the hardware for mobile payments), I can’t get a secure SIM card and I’m running CyanogenMod. 0 for 4. Even if you’re missing one of the four requirements you’re in the same boat as I am. In order to use softcard you’ll need at least a new phone and possibly also a second line of service for use only with softcard. Currently, my cell phone bill is low. Super low. In fact, since I left Sprint and became a free agent I’ve paid just $10 for the last 5 months’ of unlimited service. Switching to an unlimited plan which supports softcard would cost me $40-$50 more per month. Great promotions softcard has had in the past, and my recent Google Wallet shut down pushed me to figure out how to sign up successfully for Softcard. What follows is the way in which I set up service for softcard, with an initial outlay of ~$70 and a monthly cost of $3.33. You’ll need to add 1 day of data ($5) for the day you set up the softcard service. Once you’ve set up the service Wifi works for payments. Each minute costs 10 cents, and each text also costs 10 cents. Your minimum monthly commitment is $3.00 with this plan. Start with a T-Mobile SIM starter kit, sign up for service and then go into the store and get a Secure Element SIM card. Or go to the store and sign up directly there and get the Secure SIM. Reader Andrew reminded me that the initial setup has to be on the T-mobile data network, so be sure to buy a 1 Day High-Speed Data Pass for $5. This plan technically does not qualify for Softcard service, because you don’t have data on this plan. To get around this you’ll need a phone which can create a Wi-Fi hotspot for your main phone. The softcard phone piggybacks on this wifi signal without any issue. Even when your service is on hold you can still make purchases with Softcard, so you could pay $10 (minimum) for 3 months, not pay for a month, and then turn the service back on. Just make sure you don’t push it too far or Tmobile will cancel your service. New or nearly new these three options are about $75 on ebay. Make sure you buy a T-mobile banded and carrier locked phone. The unlocked versions of these phones are usually cheaper than the carrier locked versions, an unfortunate tax you’ll have to pay to use softcard. You’ll also need to verify that your current phone can create a wifi-hotspot in order to connect the softcard phone to the internet. I’ve only used the service a dozen or so times, in order to earn promotional credits but have had no trouble with paying over wifi. What Good is Having a Softcard Account? The main reason I wanted a softcard phone is because they’re actively giving away money and now miles in an effort to gain users. Admittedly the offers have cooled, but I’m hopeful another good promo is announced any day now as the United promo is close to ending. Softcard has a second major benefit. When you sign up for softcard you’re given a chance to enroll in a softcard enhanced version of American Express’ Serve Prepaid card. On this Soft-Serve card the monthly Credit card load limits are bumped up. You’re allowed $1500 a month in credit card loads versus $1,000 per month for non-softcard accounts. The per load amount is higher as well, at $500 per load versus $200 per load for regular Serve customers. Could I be shut down again by Google Wallet? In a wonderful twist of fate news recently spread that Softcard was in talks to be acquired by Google Wallet. I’m not surprised there have been talks to buy Softcard. They’re not a sustainable business model in my opionion because they rely too heavily on carrier integration. What I do find funny would be if Softcard was absorbed into Google Wallet, at which point I’m sure my account would be shut down. Before that happens I hope to squeeze out at least one or two more decent promos between now and then. 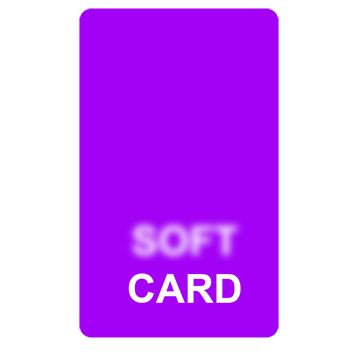 If you’ve wanted to play with Softcard but haven’t been able to, give the above a try. Worst case you can always sell the phone back on ebay for a portion of what you paid for it. I actually get Softcard (at that time ISIS) on my phone – it’s nice having a reimbursed personal phone bill! At least with Verizon, they will mail you a new SIM, so that saves the trip to the store. But anyway, have you actually gone through the steps you outline? When I set it up, there was a strong requirement about actually being connected to the mobile data network when registering – Wifi had to be turned off for it to work at all. Andrew: You’re correct about needing to be on the mobile network. I have actually done the steps above, but I did forget to mention that I did the initial setup on the T-mobile data network. I’ve added more information on that fact to the post. Thanks for catching that. I think you mean you paid for data the first month in order to get registered. Is that right? Rgg: yes, I had to buy data to sign up for softcard. Blue: You nailed it, total Time Sink. Between finding out why my phone was technically capable but excluded, to finding out what plan and phone would allow me to sign up for the least per month I’m out maybe 10 hours on this. Putting it up here so others can save the time should they see a promo they want to jump in on. This was more lucrative earlier on, e.g., when they had the promo with WF, which stacked VERY nicely with their 5% CB card – made hundreds on that. The phone can be unlocked and rooted and you can use Softcard. Boris: without any software funny business? I’d love to know how, although it doesn’t change my personal issue of having to be on a T-mobile/VZW/ATT account. The issue with the locked phones is that they contain carrier specific security keys. If you unlock the phone and try to use is on another carrier (AT&T phone) on Tmobile the keys won’t match. Flashing the phone resolves this issue. It took me about 30 seconds to do it and several hours to figure this out. 🙂 RootCloak the softcard app and you are in business. Boris: Thanks for the quick response. I too read up on those workarounds, and spent hours as well trying to figure out if my OnepluOne could ever work with Softcard before realizing it would never happen. I’ll put some wording in the post and a link to this comment should others want to work through a more technical way of signing up–but I would argue rooting, flashing and cloaking are beyond the average user’s abilities. Amazing how much time and effort you and I have put into signing up for the service; If they had a stock I’d short it. For this to work the phone must be rooted. I’ve got this to work on T-Mobile. 1. You will need to flash your custom rom. The file can be found here. This worked on my Android Revolution. 2. Install Xposed. Download the RootCloak module and enable it. Add Softcard to the list. Before you do this, backup everything first, and I mean everything using your custom recovery. With used (or, as you put it, nearly new) T-Mobile phones on ebay, there is a risk that of getting a phone with a bad ESN. (I have no personal experience, but have heard that it is pretty common with Tmobile phones.) As a current Softcard user, my opinion is that the potential rewards at this late date are heavily outweighed by that potential risk and the amount of work in getting it set up. Good point Kim. I personally would contact the seller to get the IMEI, and then use this page: http://www.t-mobile.com/verifyIMEI.aspx to check if the phone is blocked from Tmobile. I don’t think it’s remotely as bad as you make it out to be. According to most experts ATT/Verizon make up over 65% of customers in the US, throw in T-Mobile’s 10%ish and you have 3/4 of all of the US. I would bet the house that the vast majority still have locked phones and the vast majority do not have their phones rooted. I do agree though when something goes wrong with softcard everything hits the fan and it takes forever to get resolved. Jay: You’re definitely right about the majority of people having a locked phone and being on a major carrier. I was more trying to emphasize the hoops to jump through to get softcard are still very real; locked android phones (no iphones for the most part) on the supported list and a new SIM card. The big issues is that Softcard doesn’t clearly outline the steps necessary to get their service running and their customer support doesn’t seem to get it either. I had an AT&T Cashwrap case on an iphone4 with a cricket SIM. It is now painfully obvious to me why that setup didn’t work, but no one at softcard support could offer a reason it didn’t work. Other readers have told me similar horrible support stories. Time sink is right. But once you get through it you can easily replicate. I have 3 ISIS/Softcards and now load $24K monthly. Yeshu: great point, and one to definitely consider before jumping through all the softcard hoops. I, too, have ISIS Softcard via T-mo prepaid. I went with an Optimus F6 from MetroPCS, unlocked on ebay. But what good is getting Softcard *now*? they no longer rebate you $1 off any purchase, right? R you’re correct about the $1 credit no longer being offered. In fact the promos seem to be drying up. I’m hopeful that the push by softcard to be acquired might mean better promos in the short run, but nothing is guaranteed. Good job on the unlocked F6. The metroPCS version has been on sale for under $40, a steal if you can unlock and manage to load softcard on it.